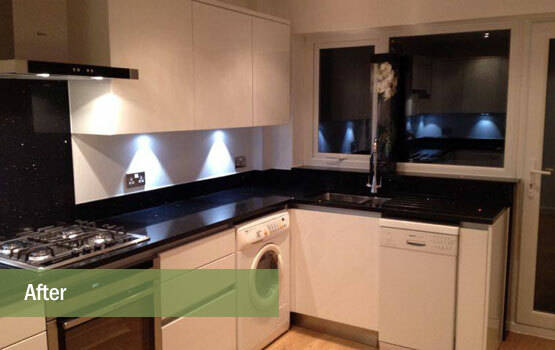 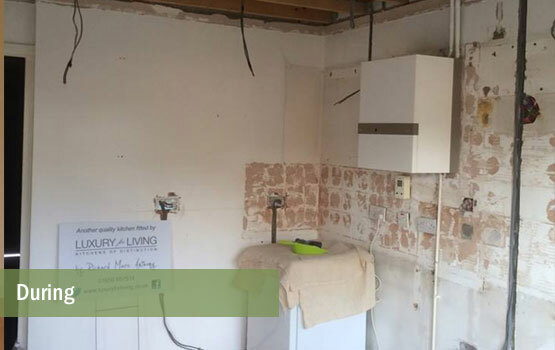 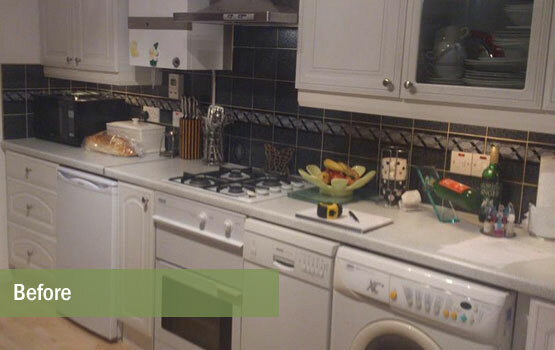 Our clients, a retired couple were over the years upgrading their property and saw their kitchen as the next big project. 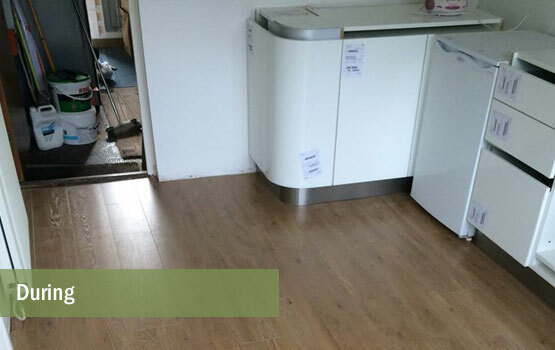 They wanted a turn key solution where all aspects of the works were covered by ourselves from fitting a new ceiling with spotlights to laying new oak flooring. 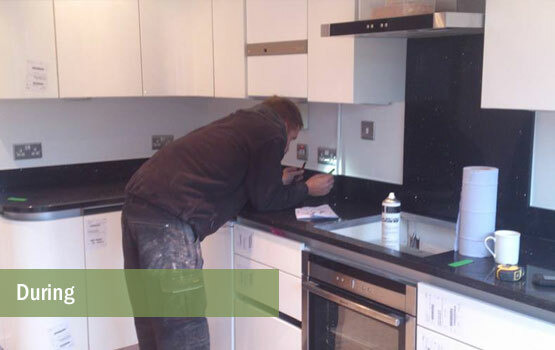 Our clients desired a sleek contemporary kitchen while at the same time wishing to incorporate their existing appliances. 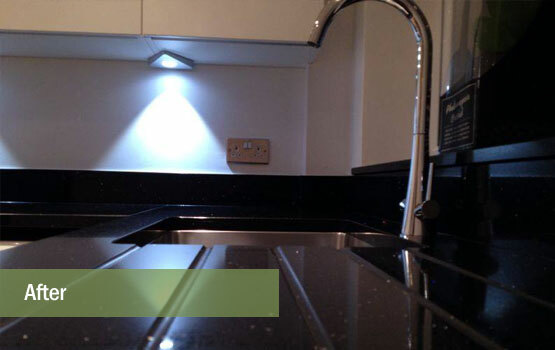 They loved our Futura white gloss kitchen on display at Ewenny Garden Centre and combined with black quartz worktops also on display would work beautifully with the right amount of subtle lighting. 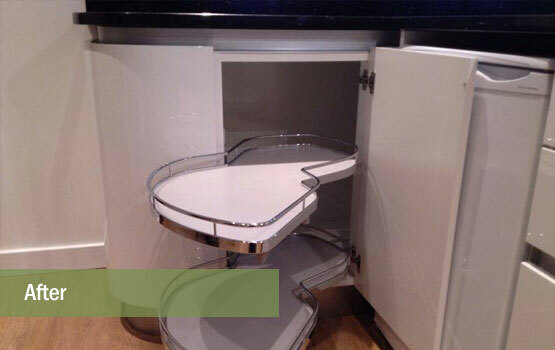 Our team worked to maximise the space available while incorporating clever corner storage solutions and also curved units to give the kitchen a more subtle feel and every detail maximised. 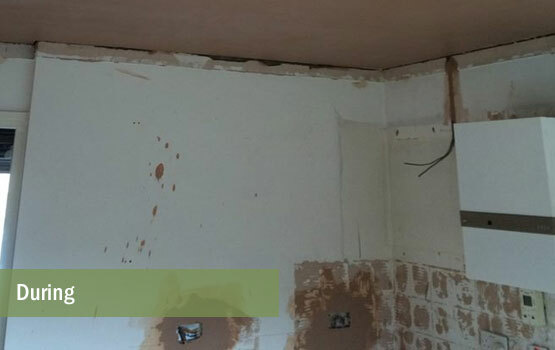 Understanding the up-heavel a whole room project can cause, it was imperative outstanding project management and communication was ensured to complete the whole project in 2 weeks with the client informed every step of the way. 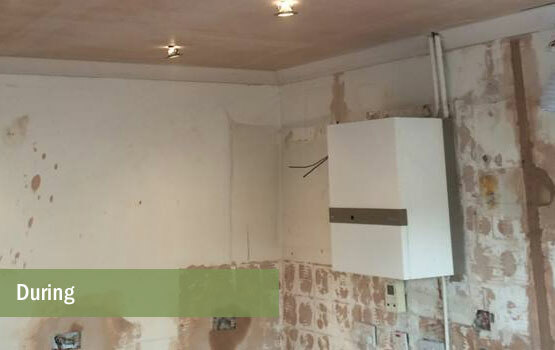 Within the scheme the existing ceiling was removed, a new ceiling added and skimmed with spot lights fitted. 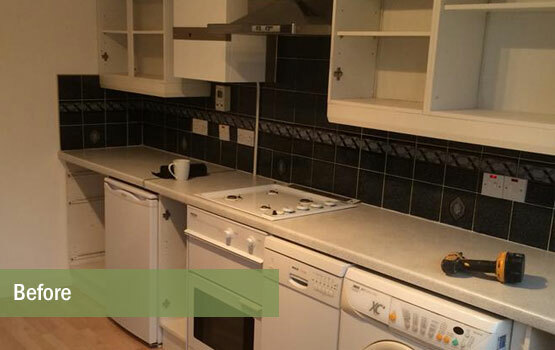 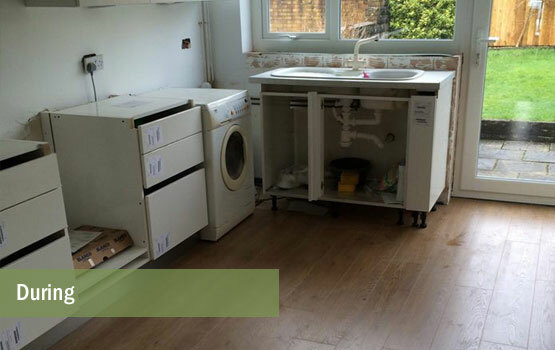 Extra wall sockets were added due to the reconfiguration of the kitchen, new kitchen & appliances fitted, new flooring and skirting boards laid and all walls freshly painted. 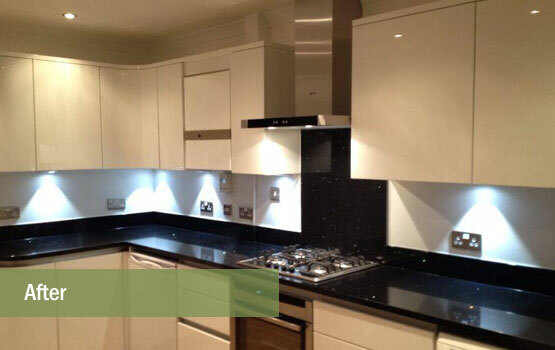 The oak floor, white gloss doors, black quartz with upstands and backsplash worked together beautifully all complemented by the new under wall unit LED dimmed lighting.